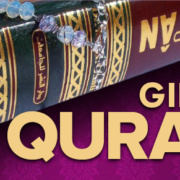 A Total of 343 Arabic Qurans; 45 English Translation Qurans; 110 Towards Reading Quraan Part 1 and 2 were sent to Ghana, Kumasi in Ashanti region, via Dhl International. Qurans and kitaabs were distributed in Ghana, Najahia Islamic School, Kumasi (Ashanti region) and Bawaku, Northern Ghana (Ansarud-deen Islamic School) and a few other surrounding areas. The drought in 2015 / 2016 took its toll in South Africa. 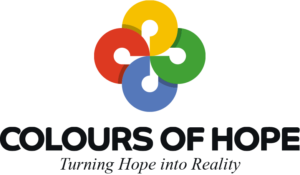 COH among many other charity organisations began assisting. 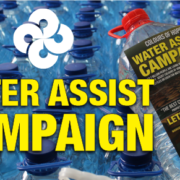 Rising to the occasion, the Water Assist Campaign 2015 was launched in order to assist Gift of Givers with water bottles for distribution in Zululand and Kokstad. It was during this time that COH liased with Salaamedia regarding the water crisis. COH ran the Water Assist Campaign from 08 January 2016 to 24 February 2015 where a number of schools participated in the collection of 5 and 10 litre water bottles. Schools such as UJ Metropolitan Academy, Saxonwold Primary, Starschool Academy in Braamfontein, Nizamiye Midrand, Suffah Learning Institute, were amongst those in Johannesburg. Newcastle’s Lennoxton Primary and Islamic College Newcastle alone also worked hard in donating almost 2,000 litres collectively. A big thank you to Arshad Osman, CEO of Arctic Amanzi in Pietermaritzburg who made the purchase of 5 litre water bottles at a very reasonable price if donated to the Drought Relief with free delivery to the Gift of Givers Warehouse in Pietermaritzburg. 6,420 litres were purchased from Arctic Amanzi and delivered to Gift of Givers Warehouse in Pietermaritzburg. Funds were raised and donated to Salaamedia’s Borehole Project, viz Maokeng Primary School, Modimolle in Limpopo Province. Palestine is home to one of history’s longest-running humanitarian crises. Apart from Israeli occupation, Palestinians face challenges everyday, especially in Gaza and the West Bank. For more than a decade Palestinians living in Gaza have endured major escalations of violence and an air and sea blockade, imposed by Israel and Egypt, that has decimated the infrastructure and stifled economic growth. Entire industries have collapsed within the Gaza Strip. Farming areas along the perimeter of the strip have been ruined by the siege and three recent wars with Israel, in 2009, 2012 and 2014. Rising sewage levels combined with a lack of clean water, fuel, and other necessities puts thousands of people in serious risk everyday. Violence and isolation have devastated the economy and social service systems, forcing 50% of the population into poverty. $300 million has been cut in UN funding for Palestinians this year, gutting emergency funds for a program that provides food, education and health services to 5 million Palestinians in Gaza, the West Bank and refugee camps. 1 in 4 Palestinians there live below the poverty line and half depend on aid for basic survival. Every human being deserves dignity, the right to basic human rights. Help us to make life a little better in these areas. Lillaah and zakaah accepted. 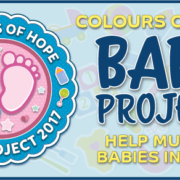 Colours of Hope launched its second priority project on 19 August 2014: Project Palestine. 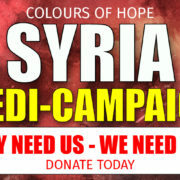 A fund created to remain open for the upliftment of the Gazan people and surrounding areas in Palestine. A donation was made to the Save Gaza Project founded by Dr. Basel Abu Warda from Gaza, for providing wheelchairs to the al-Shams school for the disabled. COH collaborated with individuals to present the Operation Save Gaza Fundraiser which took place on 28 September 2014 at the Image lIfestyle Venue. It was day of remembering the struggle of the Palestinian people with appearances and speeches made by Dr. Tamer al-Massri (media & cultural officer for the Palestinian Embassy in SA), Nabeela Ismail of the Media Review Network, to name but a few.